Monmum’s style spy goes out to match up maternity street style with what’s hot in the shops right now! Check out the denim trend from street to high street! 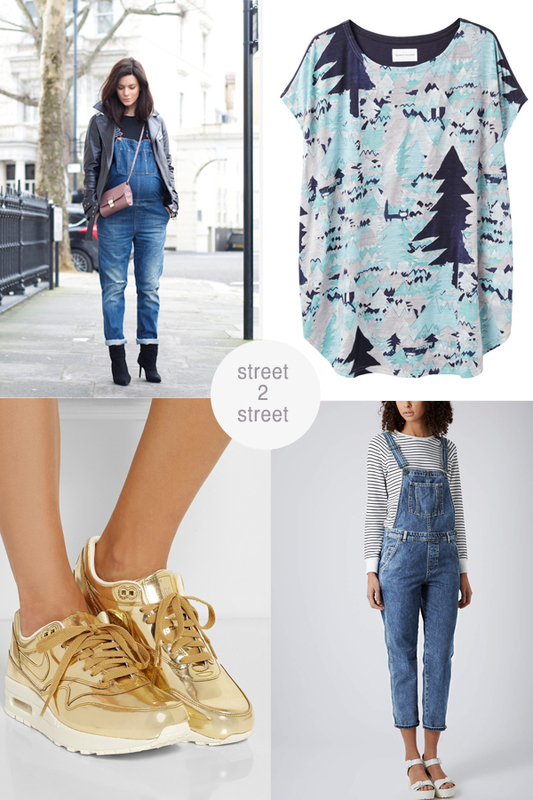 Top from Tsumori Chisato, Trainers Nike Air Max Gold, (sadly sold out at Net-a-porter) Dungas from Topshop. 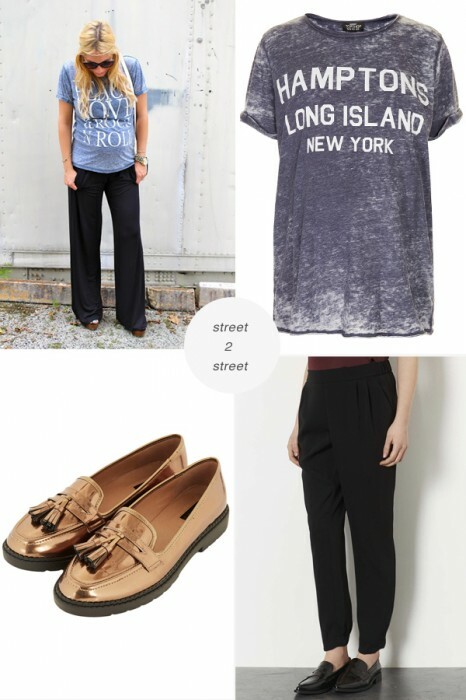 T-shirt, crepe joggers and shoes all from Topshop Maternity.